The San Salvador metropolitan area represented an emblematic case of “city-state” – with the typical features and problems of many large urban areas in South America – even if of small dimensions. During the previous twenty years San Salvador concentrated most of the Country population, business, utilities, investments and, as a consequence, the building activity highly increased. The fast and unrestrained city growth had negative impacts on the environment and built up areas, causing a strong decay of urban spaces and inhabitants quality of life. – a new massive transport link between the railway station and the Apopa Municipality. 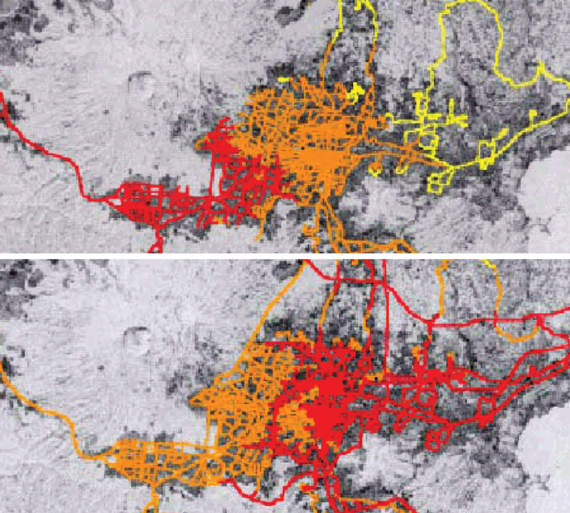 The solutions were assessed in terms of city accessibility and their effectiveness was confirmed by means of large-scale simulation tools applied to the whole San Salvador urban and metropolitan area.